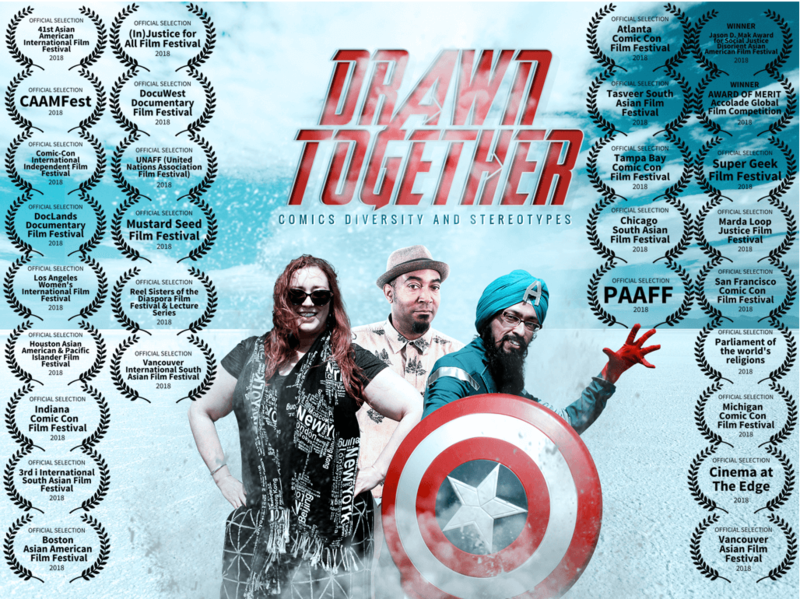 Drawn Together: Comics, Diversity and Stereotypes looks at the pervasive culture of racist stereotyping in U.S. society through the lens of comics and their dynamic creators. 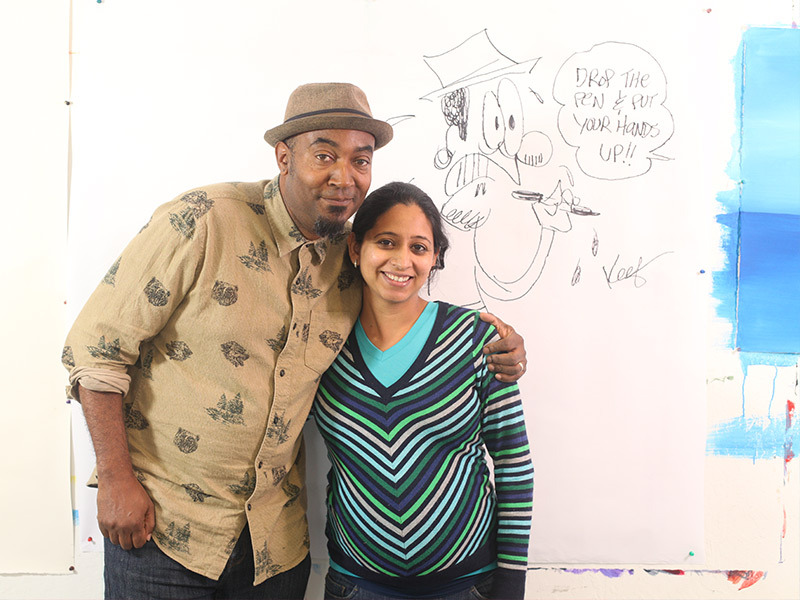 With a lively backdrop of superheroes, comic books, and animated comics, Drawn Together: Comics, Diversity and Stereotypes brings together three talented artists—a Sikh, a woman, and an African American—who are challenging the racist stereotyping currently endemic in America through their work. The documentary provides the rare opportunity to explore the subjects of race, gender, and religion stereotyping through the universally popular medium of comic books and cartoons. 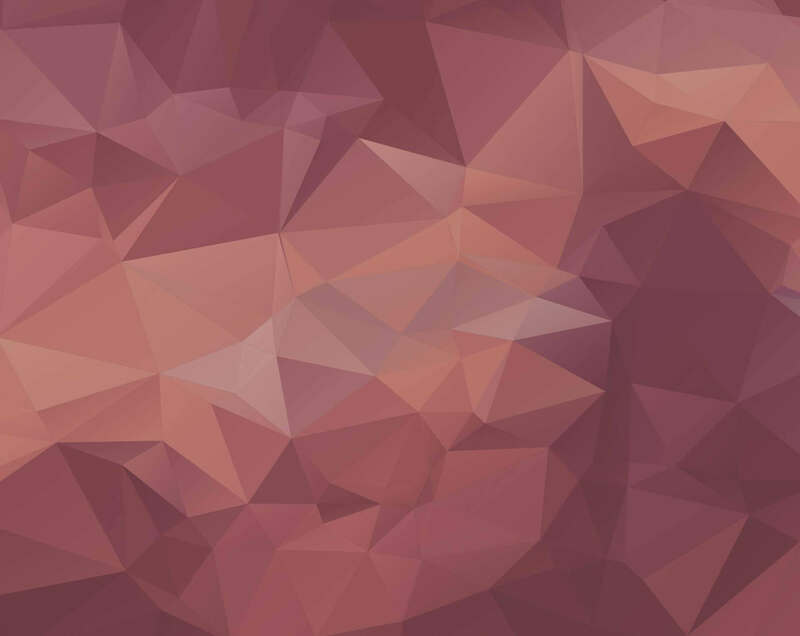 Drawn Together boldly encourages viewers to unlearn stereotyping, look beyond the obvious, and confront media prejudices—all through an uncommon and inherently engaging everyday source. Expert commentary is provided by Professor Arvind Singhal, a Clinton Foundation Fellow and world expert in entertainment education; Andrew Farago, the curator of San Francisco’s Cartoon Art Museum; and Adam Elrashidi, a cartoonist and a producer at Al Jazeera. They share their thoughts on how to solve the problem of racist stereotyping through changing the stories being told and discuss how the three profiled artists have brought about a groundswell movement to combat the way Americans traditionally look at racist stereotypes. Click Here to contribute to the film and get a tax break! 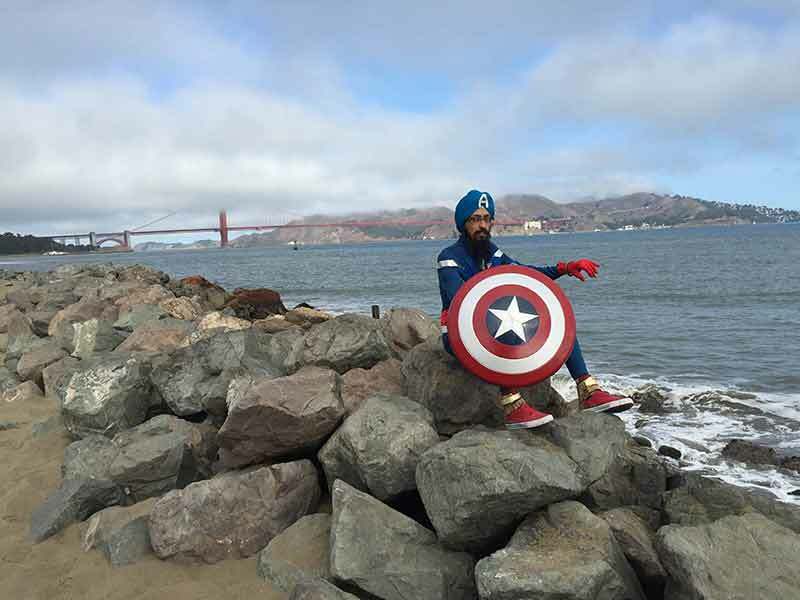 A Sikh, American at heart, technically Caucasian, brown complexioned, occasionally donning the Captain America avatar with a latent power to bust your misconceptions. Creator of intelligent, progressive, insightful comic strips. Keith’s work on race and police brutality has garnered interest of people from all walks of life. Co- Creator of SuperSikh Deep Singh, this comic book writer, musician, rock mama, film producer, music label creator is a person known to break stereotypes related to women head on. 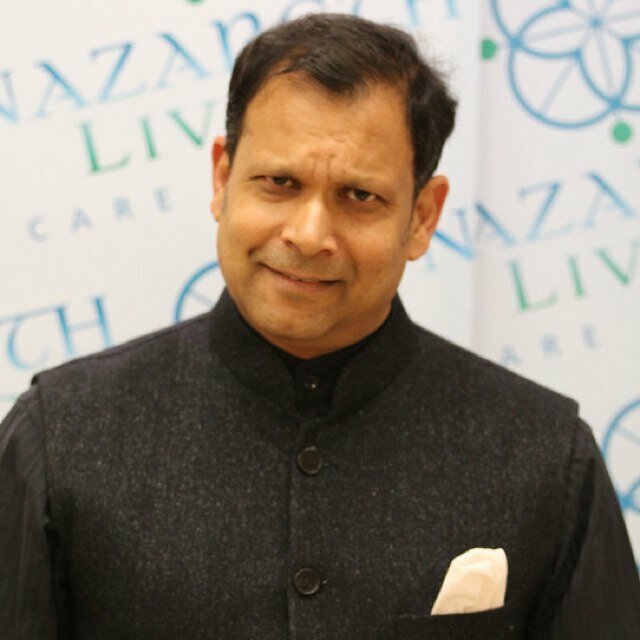 Dr. Singhal is a global voice in entertainment education. 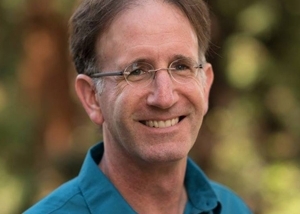 He teaches and conducts research in organizing for social change, civic participation, corporate citizenship, the entertainment-education strategy etc. Dr. Singhal is the founding member of Global Consortium on Entertainment Education and his work on Entertainment Education has been featured in NY times. He has also co-authored a monograph “Pop culture with a purpose: Using Edutainment Media for Social Change”. 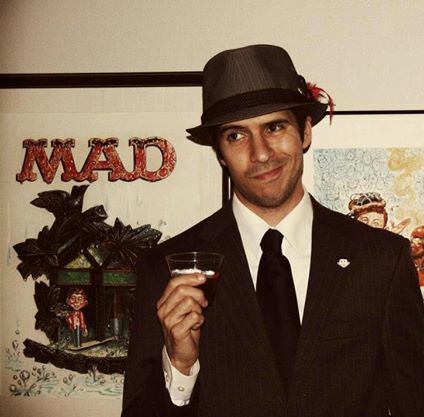 Andrew is the Curator of San Francisco’s Cartoon Art Museum, the only museum of its kind in the western United States. He is recognized as an authority in the subject of comic art, and knowledgeable in a variety of disciplines throughout the field. His writing credits include The Looney Tunes Treasury, Teenage Mutant Ninja Turtles: The Ultimate Visual History, The Marvel Comics Holiday Special and many articles, columns and interviews on comic books, comic strips, and animation. Adam Elrashidi is a journalist born and raised in the suburbs of Minneapolis, Minnesota. He currently works as a producer for Al Jazeera English’s award-winning, social media-driven current affairs show “The Stream”. As a cartoonist, Elrashidi’s work has been featured on CNN.com, the Huffington Post, Aslan Media, Game Informer Magazine, and Muftah.org. 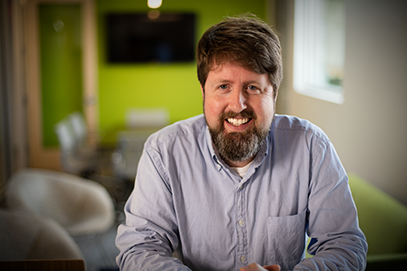 At the University of Minnesota, he served as the editorial cartoonist for the student-run Minnesota Daily newspaper, earning two regional Society of Professional Journalists awards. Harleen developed her passion for storytelling during frequent childhood travels in her native India, exposing her to remote places and diverse personalities. In California since 2009, she has assisted documentary producers and managed content marketing at The History Channel and National Geographic Channel. Her debut film, The Odd Couple: A Story of Two Triathletes (2015), premiered at SIFFT, and screened at festivals across the globe. The film was also a special invitee to the 2015 Parliament of World Religions. Since 2013, she has been a jurist for the United Nations Association Film Festival (UNAFF). Harleen earned an MBA in Marketing and Strategy from the Indian School of Business. 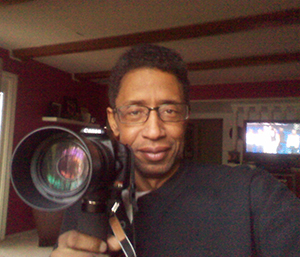 Jeff is an award-winning photographer and cinematographer. In 2015, Jeffery was Director of Photography on a short film, CARESS ME, and a music video for the band Giggle Party. In 2014, he was Co-Director of Photography on FANTASTIC, an anthology of short films. He is currently in pre-production on an untitled dramatic short. Tal Skloot’s feature length documentary film ‘Freeway Philharmonic’ (2010) was broadcast nationally on PBS and toured the globe as part of the U.S. State Department/IDA sponsored American Documentary Showcase, showing worldwide in film festivals and universities. Tal is also a skilled producer, cameraman and editor with a credit list of twenty feature length documentaries and narrative films that have won multiple Emmy awards, been broadcast nationally on PBS, NBC, ABC, CBS and appeared in numerous national and international film festivals. Tal is a graduate of the American Film Institute (AFI) and is an adjunct faculty member at Sonoma State University and the Diablo Valley College film department. Paul is best known as a creative technician whose passion is film. 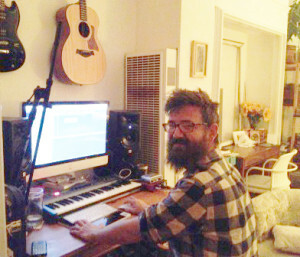 He loves his work, whether it calls for creating the perfect sound effect, smoothing out difficult dialogue, or mixing the multitude of tracks in a complicated scene. He primarily mixes long form films and non-fiction television, as well as commercials and trailers. During his more than 20 years in the industry, Paul was nominated for CAS Award in 2013 and an Emmy in 2007 and also inducted into the Cinema Audio Society (CAS) in 2001 due to his many film credits. He has a Masters in Documentary TV/Film from Goldsmiths College/University of London. Jay is a veteran keyboardist, guitarist, and bass player who has toured the U.S., Japan, and England with such bands as experimental dance music ensemble Playground and Elektra Records Project’s Family Funk. 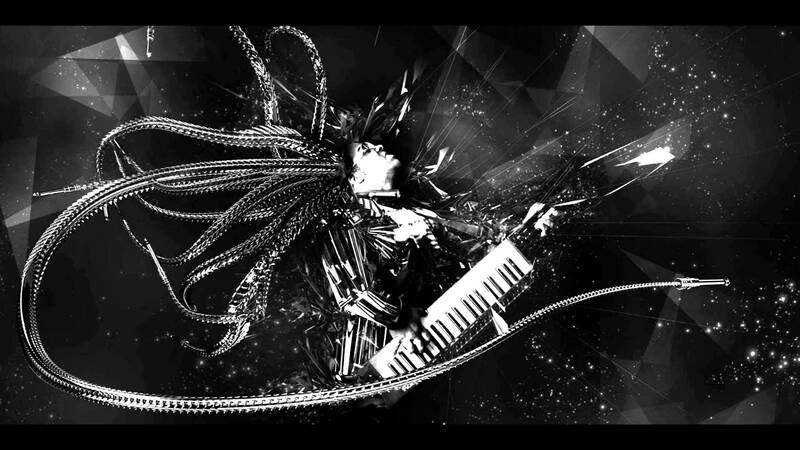 His multi-instrumental prowess has led to frequentcollaborations with a range of producers and artists. Gail was the primary force behind Film Arts Foundation for more than 25 years, first as co-director, then executive director and finally president. 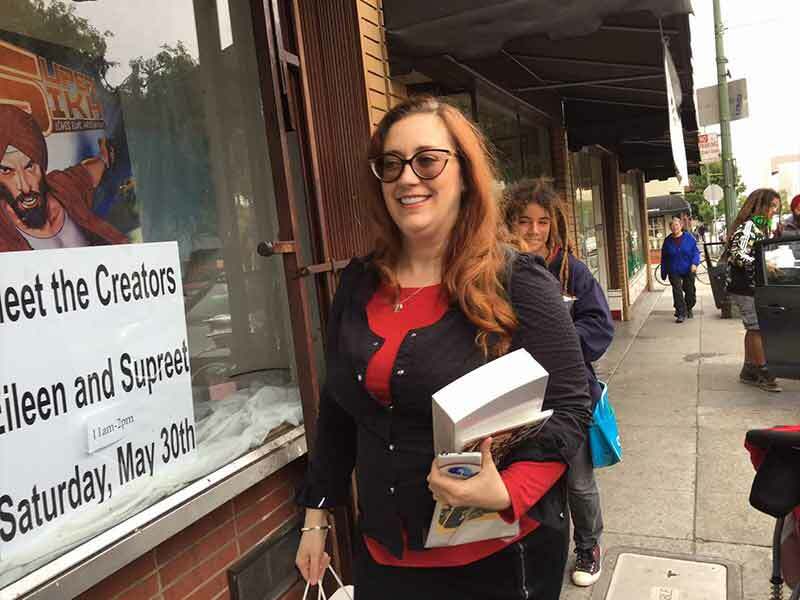 Now the veteran advocate for indies has become an indie herself, as advisor, curator and mentor to the field. During her tenure at Film Arts Foundation, Gail co-established the groundbreaking (1984) Fund for Independent Cinema, the Film Arts Foundation’s grant program. She shepherded hundreds of fiscal sponsored projects from conception to completion. Through her work in organizations like NAMAC, INPUT and National Coalition of Independent Public Television Producers she championed the cause of independent media on the national and international level. She co-created (1996) and then curated (2001-2005) TRUE STORIES, the innovative documentary sneak preview series at San Francisco’s Yerba Buena Center for the Arts.